Advertise in the Lincoln Highway Forum! 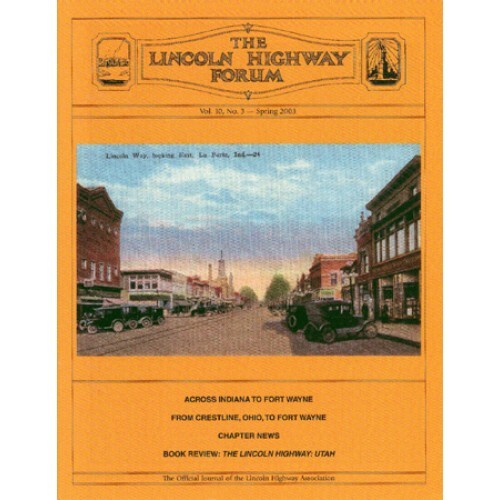 The Lincoln Highway Forum, published quarterly, is the official journal of the Lincoln Highway Association. Members of the Association receive each issue of The Lincoln Highway Forum as a part of their membership privileges. Prices start at just $40.00 per issue. 1/8 page ads require a 1 year (4 Issue) contact. you about designing your ad. Additional charges will apply and will be billed seperately. * 1/8 Page ads require 1 year contract (4 issues). Please contact me about designing my ad.